Eating in restaurants is a much larger part of the american lifestyle in 2015 than when I was young. Being one of five kids in a big catholic family, it was a feat to not only get us all out, but surely it was a budget buster too. Good thing we had the Big Banjo just a short car ride away. 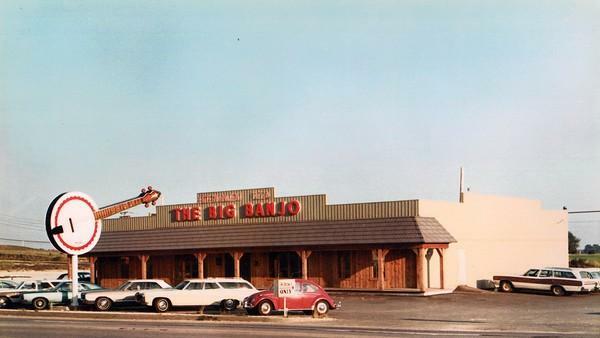 When I was little, going out to the Big Banjo for pizza was a big treat. Families lined up on picnic bench seating while old black and white films showed on the back wall. When the movies stopped, words to sing-a-long songs appeared on the screen, and we would sing old favorites like Take Me Out to the Ball Game. Big Banjo was a blast. The kids got pizza and soda pop, a big treat, and the parents got a pitcher of beer with all of the other parents because, after all, it was Friday night. The restaurant was always packed. Family restaurants are a little more sophisticated these days, and it just isn’t the big family event to dine out like it was 15 or twenty years ago. A generation ago about 25% of the family food budget went toward eating out, and now that number has more than doubled. Since families dine out more, it isn’t the “splurge” it was years ago. Today when a family dines out, healthier options are available. How do we eat healthier when we eat out? Lets talk about that. Order your protein steamed or baked instead of fried. Ask for salad dressing on the side. You tend to use less dressing when you dip. Have tomato sauce over cream sauce. Eat slowly. Set your fork down between bites and sip your water. Order veggies as a side dish with your meal. If you are getting pizza, leave the meat off of it. Even a small change can make a big difference toward healthy lower calorie dining options. Do it for yourself, and be a good example to others. At Big Banjo, we splurged with our food. Now, eating out as a family happens more frequently, so choosing more nutrient dense food is important and getting easier at restaurants. .
My beloved Big Banjo is long gone. You can still find restaurants that are a splurge with the food. But for a family, dining out is a regular event these days. So make good choices. What changes can you make with your family? Squeezes to all of you. Mommy….